In an effort to keep you update on sustainable energy projects around the world, here is a brief of 5 countries considering geothermal power. 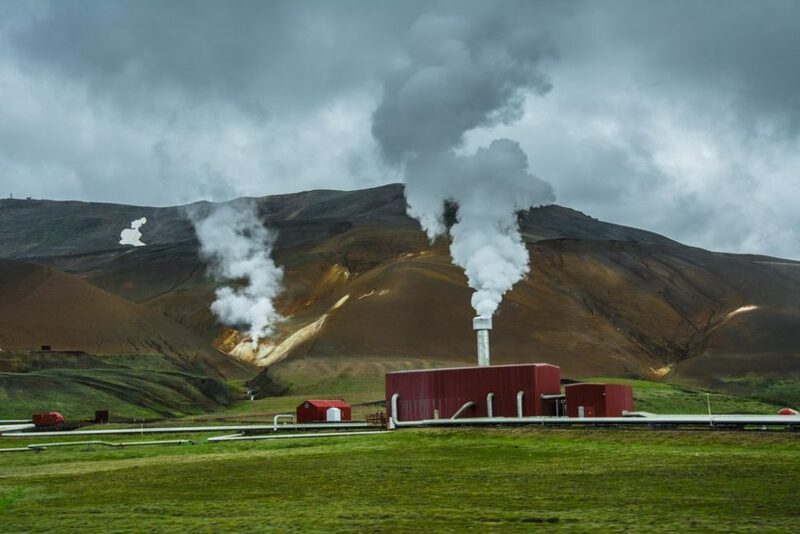 Geothermal power is sustainable, renewable, relatively clean, and these five places around the world are starting to embrace what it can do for them. Taking a journey to the center of the Earth is supposed to be an adventure, rife with adventure, creatures thought to be extinct, and Brendan Fraser. But sadly, despite a $180 million USD profit, there is no critical support for an adventure to the center of the Earth. What there is, though, is power, and plenty of it. Back in May, we reported on the Iceland Deep Drilling Project, and today we have a follow up for that story. Five of them, to be exact. That’s right, folks. Iceland’s geothermal revolution is going worldwide, so to speak, as five more countries are looking into what geothermal power can do for them, and it’s my job to take you through each one. The province of Biliran is due for a pretty big energy boom if Governor Gerardo Espino Jr. has anything to say in the matter. The government there has finished building geothermal and solar plants that will generate about 35 megawatts, and they’ll be online by 2018. Investments and attention galore has come to Biliran ever since those plants were made, too. And in the case of a local government, more money can solve a lot of problems. Espino thinks that between the plants and the resulting investments, the province will enjoy reduced electricity rates, power stability, and best of all, lots and lots of jobs. Biliran is getting a pretty good roll of the dice with geothermal energy, but they aren’t alone. Let’s move on to Indonesia for the next stop on our tour. The Indonesian Energy and Mineral Resources Ministry has set themselves a lofty goal: boosting geothermal power production in the country from 1698.5 MW to 7200 MW within eight years. To accomplish this goal, the Ministry has been greasing the wheels for investors to build and own new geothermal plants, and luckily for them, the plan is working well. Multiple plants are already in the works, and I wouldn’t be surprised if the companies that own them got a lot of recognition for helping Indonesia reach a pretty impressive standard for geothermal energy. Next, we have the U.S., specifically Southern California and Washington, two places where clean energy is being embraced through geothermal power. Let’s start with Washington state. First off, the place isn’t without its clean energy solutions: they have enormous dams and plentiful wind turbines, and there isn’t much honest need for geothermal energy. Yet, if scientists can figure out more about how heat rises from the earth, geothermal might become a staple of their state’s energy diet. And Governor Jay Inslee likes the sound of that. So much so that he has approved a bill that will allow some experimental drilling for geothermal wells. Let’s rewind for a second and talk about what those scientists have ahead of them. Geothermal isn’t as easy to do in Washington state because the biggest likely areas for it are complicated by high rainfall, elevation, and some pretty mean slopes. According to the Tri-City Herald, the zones in focus of Washington’s Department of Natural Resources for geothermal power development are all in the Cascades: Mount St. Helens, Mount Baker, and the Wind River Valley in the Columbia Gorge. It’s kind of an engineer’s worst nightmare, but the benefits could help satisfy an energy-hungry state and nation. Let’s leave those scientists to it and hop on down to Southern California. In contrast to Washington, the geothermal hot-spots in Los Angeles are far easier to tap into, and investors in the area are buzzing to get development green lighted. In fact, one already has that green light; Ormat Technologies won the race, apparently, and they’ll be using geothermal power to support an energy portfolio with a capacity of about 150 MW by the end of 2022. Los Angeles is getting serious about ditching coal, and good for them, but let’s take a trip over to the old world. Hungary is in line for their first ever geothermal plant. It may be small, but for KS ORKA, a big statement is made to the rest of Europe, and Asia to boot. The plant will provide clean energy and heating for local homes, and it’ll be made with sustainability in mind by returning the geothermal fluids to the ground after making use of their heat. Again, this one seems small, but look at the bigger picture here. If KS ORKA’s methods deliver on their promises of sustainability, they may be in line to build enough new plants across the Eurasian landmass to total 400mw and beyond. They could shape how geothermal energy is done in that part of the world, and that’s a ton of potential for one company to have. There’s only one more place to go on our trip around the world, so let’s wrap around the world to New Zealand for some sun, and maybe a little bit of wet steam. The Wairakei Power Station is the oldest plant on our list, but since sustainability is a big part of geothermal energy efforts, that’s a pretty good sign. Wairakei was the first wet steam geothermal plant in the world, and thanks to a new steam recycling method implemented in 2005, it has the capacity to pump 181MW out to its island nation. Or, at least, more than half of the island nation. An electrical substation at Wairakei is owned by Transpower, and it transmits electricity from geothermal and hydroelectric power stations to the regions like Hawke’s Bay, Gisborne, and the Bay of Plenty. Wairakei draws its heat from the steam produced by local rainfall and geothermal energy, and it also looks really cool. You can’t beat sustainable energy production at work, folks, so check that link out if you want to see what I’m talking about. We’ve been around the world on our little geothermal energy tour, but rest assured that we’re only melting the tip of the iceberg here. If you want to keep up with the news about this wonderful, renewable energy idea, then make sure to come back often. As always, we’ll be here to tell you all about it.